Mangesh, 27 Jul 2008Hello Prashant, does putting on the screen guard really helps? How does it affect the sensitiv... moreHi Mangesh, I wouldn't even think of taking my phone out of the case without a scratch guard! I've had my phone for almost a couple of months now, and the scratch guard already has 3-4 scratches, one from my nail and the rest from the stylus. Imagine without the scratch guard in place, these scratches would've permanently been made on the screen. Most good scratch guards won't affect the sensitivity of the touch screen, and if it does, there is also a Registry hack to fix that. Hello Prashant, does putting on the screen guard really helps? How does it affect the sensitivity of the touch screen? Thanks! Anonymous, 01 Jan 1970Most of the local ones cost about 100-200 (INR), while some good branded ones may go as high as 300-500.
sdwdg, 26 Jul 2008Thanks, Murali. I also ordered the phone via eBay and got it for the same price. Got it today... morePhones don't always come with same-brand chargers, but that should not be a big issue. In my case, the ASUS phone came with a TPT branded adapter. Anonymous, 26 Jul 2008there is review on techtree which gives a dismal review of this phone, can anyone take a look ... moreJust checked out the TechTree review - I wouldn't really call it dismal. It seems to report a few things correctly, and exaggerated a few things out of proportion. As an example, the reviewer seemed to be hung on the fact that the HTC Touch features the TouchFLO technology, while this phone will always require you to pull out the Stylus. 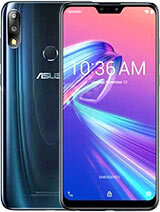 This is not really true for 2 reasons - firstly, you CAN do a lot of things already without using the Stylus, and secondly, ASUS is also working on an equivalent of TouchFLO, which it plans to release pretty soon. If you're interested anything else mentioned in the review, feel free to ask about it here. Murali, 19 Jul 2008Hey guys... Answering your question and tanmay's exclaim - I bought it from the guy selling... moreThanks, Murali. I also ordered the phone via eBay and got it for the same price. Got it today. At first look, the phone's build quality is not very good. 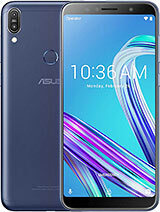 The charger that came with the phone seems well-built, but is not branded Asus. 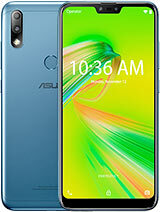 Everybody who has bought this phone - is the charger in the retail package branded Asus? 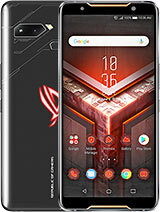 there is review on techtree which gives a dismal review of this phone, can anyone take a look and comment on it. what would be the speed does the hand set suppourts.wat wouild the attechment files can be opend? hey folks, anyone here tried and tested the mapmyindia navigation s/w for my p320? I am searching for a good navigation s/w, possibly not a crack or if possible a tested freeware.What do you all recommend? 1. How yo use gps? 2. is there any flv player? In my opinion sound when playing mp3 with win media player is not good. When using speaker sound quality is not good, but when using earphone sound is better, but still not good. Maybe there is another alternative to play mp3 with equalizer? CoolVidesi, 26 Jul 2008Prashant, 1. Can u pls suggest which one is better HTC Touch Flow or Asus P320? 2. 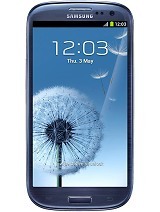 Pls a... moreThe HTC Touch is no doubt a great phone! It was actually the phone that attracted many, including me, to the WinMo platform. It has a few advantages over the P320. It has a hard screen compared to the P320's soft one. The screen is also a little bigger (2.8" vs. 2.6"). It has a soft rubber feel body, which I personally love (my P527 also has the same). The biggest advantage is that the new Touch model (3452) has twice the amount of ROM and RAM compared to the P320, which will surely give it an upper hand in terms of performance. The P320, on the other hand, has a built-in GPS receiver, which is great at this price (both these phones are about the same price now). 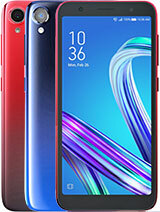 While most people might not see it as a great feature now, just think that most of the GPS navigation devices these days are selling for more than what this phone costs! In terms of sound quality, I found the P320 to be a pretty good phone. The ringtone and alarms were pretty loud, although the volume and clarity could use a little improvement when it comes to playing music. As for beaming multiple files using Bluetooth, the built-in File Explorer does not support that, but Total Commander does. 1. Can u pls suggest which one is better HTC Touch Flow or Asus P320? 2. 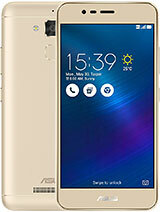 Pls also suggest whether the sound quality in terms of music player and ringtone good in Asus P320? 3. Can we select multiple files for bluetoth transfer in Asus P320? addy, 15 Jul 2008I bought an ASUS P320. The package includes the following: 1) Phone 2) Charger 3) Earphon... moreHow about memory MicroSD, is it included? How many GB. 1. Map --> how to get it, is it available the pirate one? 2. Software to access the map. --> how to get it? is it available the pirate one? Anonymous, 01 Jan 1970Yes, this phone has Pocket Outlook, along with Pocket versions of a few other MS Office applications, customized to perform well in the WinMo environment.